For most people (even celebs), prom is the ultimate rite of passage. It’s why you have some stars who go to prom with their fans. But these lucky celebs actually went to prom with other celebs before they became Hollywood legends. 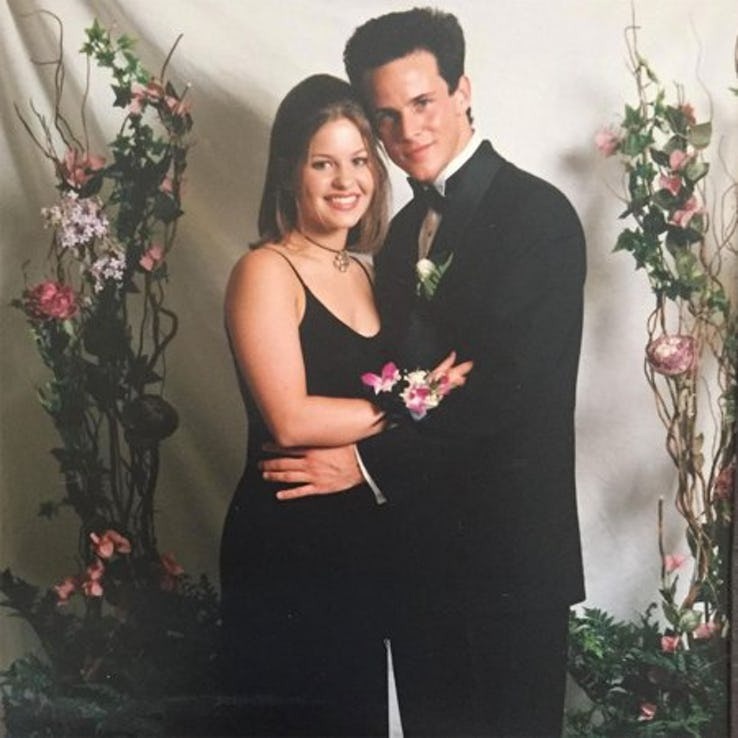 “Prom Night” actor Kelly Blatz was actress Blake Lively’s main squeeze back in high school. She wore a tiara and a pink gown and looked like a princess. And her prince, who started out as a friend and ended up becoming more than that, was right by her side wearing a stunning tux. “Boy Meets World” actress Danielle Fishel and NSYNC’s Lance Bass dated in high school. So, she asked him to check his schedule and see if he’d be able to go to prom with her. At the time, he was in one of the coolest boybands ever. Fortunately, Bass caught a break and took Fishel to prom and they both had a banging time. Selena Gomez and Demi Lovato didn’t go to each other’s prom. But they did crash the Etobicoke Collegiate Institute’s prom to dance and mingle with some of the other prom girls. Then security gave them the boot. We can’t help but wonder why would anyone want to kick Selena and Demi out of a party? 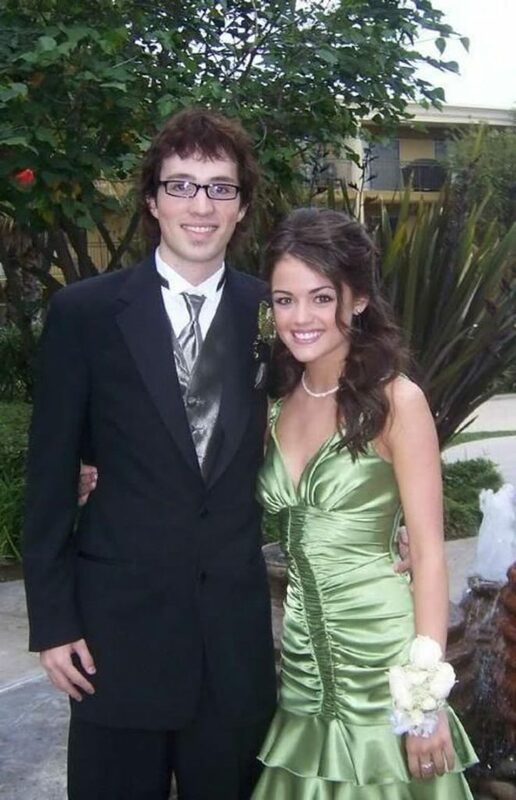 Dustin Belt, who played guitar in “Big Time Rush’s” live band was probably surprised when “Pretty Little Liars” star Lucy Hale gave him a shout-out on Twitter by posting a Throwback picture of the two of them arm in arm before heading to prom. Aren’t they cute? Laurent Claude Gaudette was looking mighty serious while “Modern Family” star Ariel Winter posed right by his side in her prom gown. But rumor has it that the couple who started dating in 2013 never made it to prom in 2016. They supposedly had a falling out and she went stag. Kim Kardashian may be married to rapper Kanye West now, but back when she was in high school, she dated TJ Jackson, the nephew of the late Michael Jackson. But you didn’t really expect the reality star diva to go out with a regular Joe, did you? Disney’s “Kicking’ It” star Olivia Holt didn’t stick around long after she received her “Best Crush Song” award at the 2013 Radio Disney Music Awards. In fact, she slipped on a pink dress, grabbed her “Minutemen” star boyfriend, Luke Benward, and went to prom. 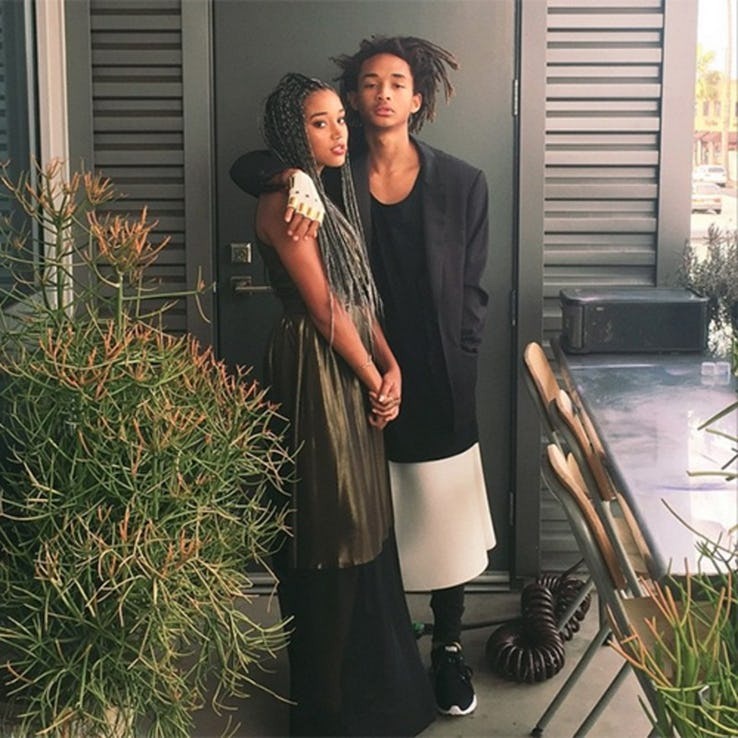 Jaden Smith went to two proms. In 2015, he went with a friend dressed in a white Batman suit. But he probably remembers his other prom with “The Hunger Games” actress Amandla Stenberg, who wore a gold gown, while he wore a skirt in lieu of a Bat suit. Now that’s an iconic moment if we’ve ever seen one! 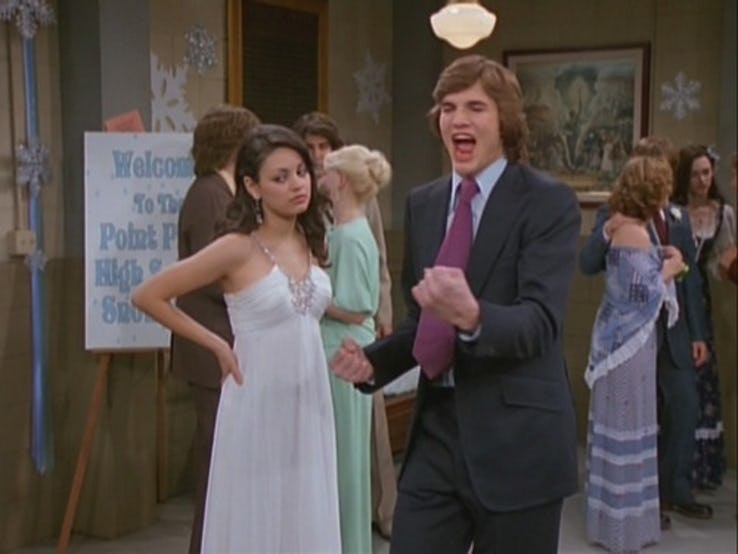 Mila Kunis and Ashton Kutcher didn’t go to their actual high school prom. But their characters did on “That 70’s Show.” So, what if Kunis missed out on her real prom? She wound up getting married to Kutcher in real life. That’s a total plus in our book.